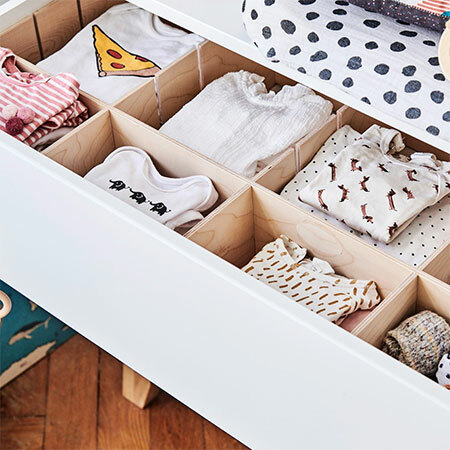 If your drawers are a chaotic jumble, this practical drawer organiser will have them sorted in no time. 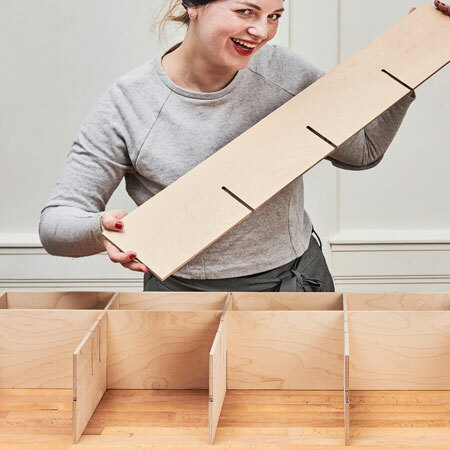 You simply customise the size of the boards needed to fit your particular drawer size. With this drawer organiser fitted to your drawers, you will be able to find what you need quickly and easily. 1. Measure up the size of your drawers (length, width and depth). You can design these dividers to make lots of small compartments or make a few larger compartments. You will need 2/3 boards for the front, back and centre, and the required number of boards for the dividers. Have all your components cut to size at Builders Warehouse. 2. 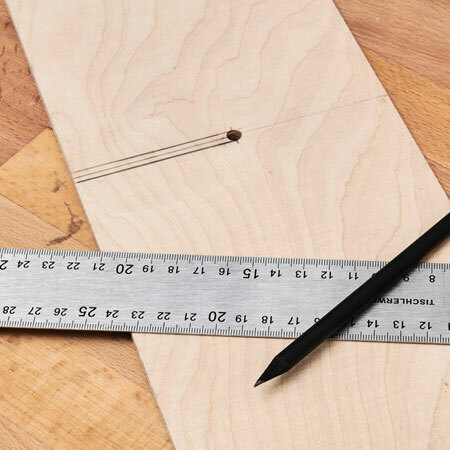 Measure and mark the location for cutting the slots - cross lap joint - on the long and short boards. 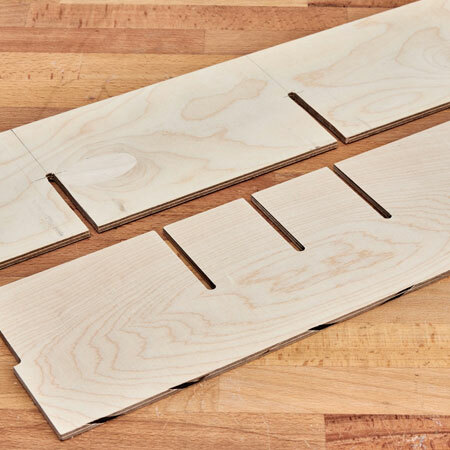 Secure the boards to your workbench with clamps. 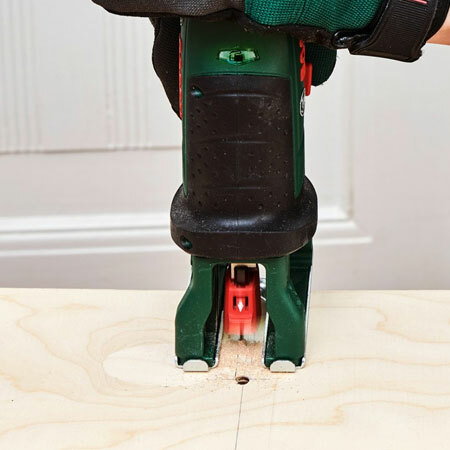 Drill a 4mm hole at the top of the marked slot (if using a 3mm board). Also, mark a slot at the ends of the boards for sturdy assembly. 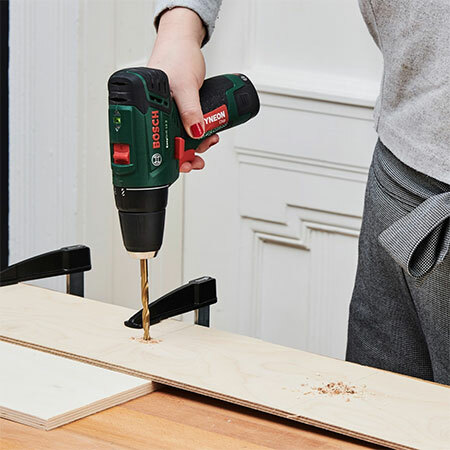 GOOD TO KNOW: Have a piece of scrap wood to place underneath where you will drill to prevent ripping. 3. Cut out the slots with your jigsaw. BELOW: Slots cut to assemble the drawer dividers using cross lap joints. 4. 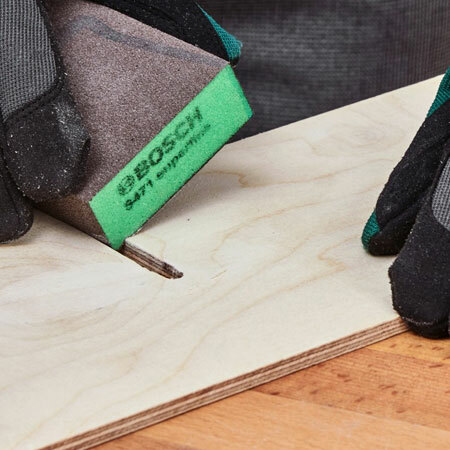 Sand all the cut edges, especially if you are using plywood, as this has a tendency to have splinters along cut edges. 5. Now you're ready to assemble the drawer dividers.